Hope you had a great Mother’s Day! Leave a comment to win. This contest is closed. On Sunday, May 8, dads and children across the country will be celebrating the most important woman in their lives – mom. Creating that perfect day for mom can be challenging because of busy schedules the pressure of finding the right gift. With the big day rapidly approaching, Pillsbury Sweet Rolls wanted to offer some interesting survey statistics and tips to help create a memorable Mother’s Day. They are even going to sweeten the deal with a lovely gift basket for one of my readers. The survey found dads agree that small, meaningful gestures on Mother’s Day (94%) are more important than buying expensive presents (55%). Mother’s Day is the perfect occasion to create unforgettable experiences say 84% of dads, and 79% of dads agree that one way to start of the memory-filled day is by treating mom to breakfast in bed. The survey also found 91 percent of dads agree having a wonderful Father’s Day isn’t as important as ensuring their wives have a wonderful Mother’s Day. When my brother and I were almost certainly too young to be messing with the oven we set the alarm clock and got up early to make breakfast in bed for our mom. What we made her was orange juice (from concentrate), instant coffee (yuck) and Pillsbury Sweet Rolls. Really. You know I rarely do giveaways or promotions, but it was that sweet memory that made me want to share this. I know from personal experience their sweet rolls are quick and easy to prepare in minutes. Making them can also be a great daddy-child experience to do together. Give Mom the Day Off: Have the family all pitch-in to take care of mom’s chores and then get the kids out of the house for the day to give mom some time to herself to relax and unwind! The survey found a full 94% of dads say it’s important to let their wives relax and forget about responsibilities for one afternoon, and 83% will even take over their wives’ responsibilities for the day just to show they care. Family photos: A very thoughtful and sentimental gift is framed photos of the entire family. Capturing memories that can be displayed for a lifetime. A homemade card: A great gift to get the kids involved with, making a homemade Mother’s Day card is a sentimental gesture that gives mom a unique memory! Find a mom-centered event the whole family can enjoy: Plan a family fun day around one of mom’s favorite activities, such as a concert, hike, picnic or dinner at her favorite restaurant. Breakfast in Bed: Surprise mom in just minutes with Pillsbury Sweet Rolls. Quick and easy to prepare – simply place and bake for an impressive and delicious addition to your weekend breakfast – it’s an easy way the whole family can start Mother’s Day with a sweet surprise. Everyone’s different, I’d love to hear what do you think creates a special Mother’s Day? What will (or did) you do this Mother’s day? Leave a comment and share that with the rest of us. 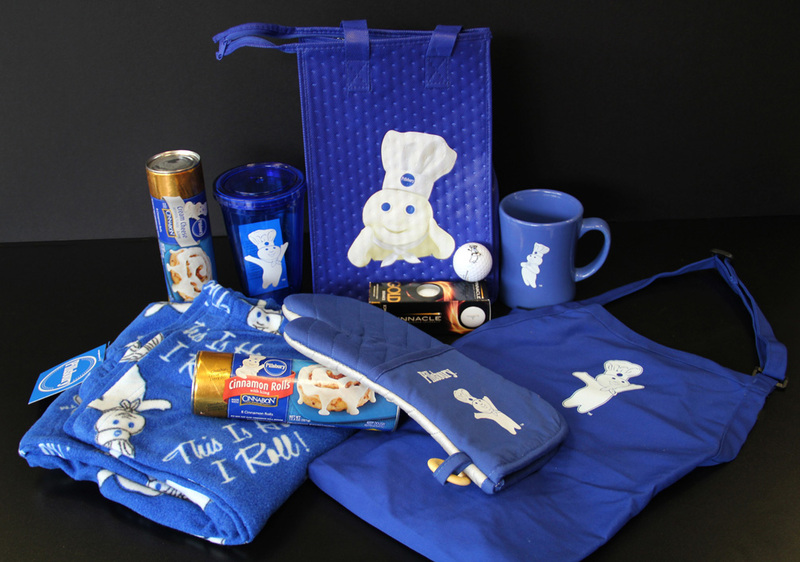 That comment will be your first entry to win this cool Pillsbury Sweet Roll gift basket! This giveaway will end on Wednesday, May 11 at 9pm EDT. It is open to all mailing addresses in the US and Canada. A winner will be chosen using random.org, and will be contacted via the email they provide. They will have 48 hours to respond before a new winner is chosen. The gift basket will be shipped directly to the winner. As a disclosure: I’m being provided one of the gift baskets as well. There’s not much I won’t do for Pillsbury Sweet Rolls. 😉 Good luck to everyone! OK…now that is absolutely the cutest thing in the world! That is so sweet you and your brother did that for your mom! Although probably WAY scary for her after she realized you were tinkering with an oven! Great ideas for moms too- I’m sure any mom would love them! I think doing something as a family makes for the perfect Mother’s Day. Hoping to go for a hike this year – that is if it doesn’t rain. We’re taking Levi to the zoo for the first time. Adorable! You ROCK, Michael! You know I follow you on twitter. That was adorable! This year, my husband interviewed our four-year-old son and helped him write a letter to me. It was adorable! Definitely the BEST gift I could have been given! What makes an mother’s day awesome? Loved the great ideas you wrote about for celebrating mom’s day. We went out to a restaurant for brunch buffet and it was so crowded we could hardly get any food and the boys were a little fussy- later that day my hubby bought me my favorite food from Chipotle and made it all better. YES, absolutely agree with your tips. Every mom would love a break from the daily stress, whether it’s cooking or cleaning. Something personal and sentimental makes Mom’s day that much brighter. I vacuumed, cleaned the house, folded the laundry, etc… whatever helps. The coolest thing to do on Mother’s Day is to go out for breakfast, then had dinner on the grill, then a few Bud Lights! What could be better? Spending time being pampered by my boys and hubby. Like bringing me coffee or doing chores I would have to do otherwise..lol. This Mother’s Day I looked after the toddler first thing in the morning and let her mom sleep in. It was appreciated. Thank you, Leigh. Hopefully my wife’s not looking at this post today 🙂 as it contains ‘spoilers’. She’s getting 100 flowers delivered to her today. Additionally she’ll get a lift no finger, do whatever she wants weekend. That may include a meal at a favorite restaurant with the family… or a day doing nothing or anything on her own. Her choice. Happy Mother’s Day everyone!